Hay, Straw and Alfalfa Press Releases | Timothy Hay Exporter | Anderson Hay & Grain Co. Inc.
Press Releases for Anderson Hay & Grain Co., Inc.
Anderson Hay & Grain Co., Inc., the number one hay exporter from the USA, will enter a joint venture (JV) with Agthia Group, the market leader for animal feed in the UAE. This partnership was announced, and a JV agreement was signed at the AgraME Show on April 10, 2017. A new company is being formed, which will primarily be importing Anderson’s premium forage products from the USA, to be distributed in the UAE and the GCC. The products will be sold under the new JV product brand, Agrivita Marabe, which translates to “green fields.” Through the JV, Anderson will have a solid presence in the Middle East. Both companies are well aligned and committed to supporting the farming industry as well as the food security of the UAE and GCC region by providing superior quality feed solutions for livestock. 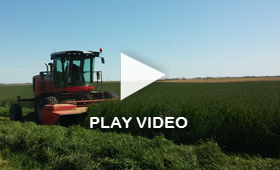 Anderson Hay & Grain Co., Inc., a leading exporter of Timothy Hay and Alfalfa Hay was recently selected as one of a handful of companies to be featured in a video series released by the State of Washington. Created to highlight organizations who are stimulating the local economy through foreign export, Anderson Hay is privileged to be featured in the series. (PRWEB) [DATE] --Anderson Hay & Grain Co., Inc., a leading U.S. based exporter of hay and straw products, is proudly featured in ‘Export Washington,’ a video series designed to promote companies who are stimulating the economy through foreign export. As a local, family owned company, Anderson Hay & Grain Co., Inc. is honored to help raise awareness about the far-reaching benefits of trading in foreign markets. Anderson Hay & Grain Co., Inc. is a top producing, third generation, company specializing in hay export. With a primary focus on producing and exporting Timothy Hay, Alfalfa Hay and Grass Straw products; Anderson Hay & Grain Co., Inc. is widely recognized as a fast growing, Washington based company. Headquartered in Ellensburg, Washington; Anderson Hay & Grain Co., Inc. works with a network of family owned farms throughout the Western United States to produce the highest quality Timothy Hay, Alfalfa Hay, Grass Straw, Horse Hay and Cattle Hay on the market. The Anderson family attributes their great success to the remarkable grower base they have developed from the time they first opened their doors in 1960. According to the World Institute for Strategic Economic Research, exports of Washington-made goods jumped to a record $64.6 billion in 2011, an increase of 21%. The state is the largest U.S. exporter on a per capita basis; with approximately four percent of Washington companies exporting, compared to a national average of one percent. In fact, one in three jobs Washington State is tied to trade, either directly or indirectly. "This is truly welcome news for our state," said Gov. Chris Gregoire. "The global marketplace continues to recognize the outstanding quality and value of products and services from Washington State. We will continue to build the strong relationships with trading partners overseas that further expand opportunities for our businesses." Setting ambitious goals to further increase the number of local companies exporting goods, Washington State Governor Chris Gregoire launched the Washington Export Initiative in June, 2011. The project is designed to celebrate the success of Washington-based companies who are creating jobs through domestic and foreign trade. A video series entitled ‘Export Success Stories’ is an integral part of the initiative. Each of the two-minute stories profiles a different Washington exporting company. Each profile features commentary from employees and stakeholders as well as "rules of the road;" advice on the best way to capitalize on export opportunities. The video featuring Anderson Hay & Grain Co., Inc. includes an inside look at everything from the dispatch office to warehouse operations, as well as an interview with CEO Mark Anderson. The entire Anderson Hay family was eager to participate in the project and share insights with the production team. With plans for expansion into more markets, Anderson Hay & Grain Co., Inc. hopes to continue to play a role in the growth of the local and national economy for generations to come. The thriving company is committed to strengthening the global agricultural industry through superior customer service and top quality forage products. To learn more about Anderson Hay & Grain Co., Inc. visit them online at http://www.anderson-hay.com or call 509-925-9818. About Anderson Hay & Grain Co., Inc. Founded by father and son Clarence and Ron Anderson in 1960, Anderson Hay & Grain Co., Inc. has remained a family owned operation for more than 50 years. A leading provider of hay and straw products, including Timothy Hay, Alfalfa Hay, Grass Straw, Cattle Hay and Horse Hay; Anderson is recognized as a top producer in the hay export industry. Headquartered in Ellensburg, Washington, Anderson has a presence throughout the Western United States, maintaining several facilities and working with a network of family owned farms throughout the region. A company built on family values, Anderson Hay & Grain Co., Inc. recognizes that the foundation of their business lies within their longstanding relationships with customers, growers, suppliers and employees. Visit http://www.anderson-hay.com to learn more. Commerce is the lead state agency charged with enhancing and promoting sustainable community and economic vitality in Washington. The driving force behind the ‘Export Washington’ campaign, Commerce is taking strides to stimulate the local economy and support job growth statewide. For more information visit www.commerce.wa.gov or call 360 725 2674. Anderson Hay & Grain Co., Inc., a leading U.S. based exporter of hay and straw products has been named among the Top 100 Exporters by the Journal of Commerce (JOC). As a fast growing, family owned company, Anderson Hay & Grain Co., Inc. is proud to be named among this elite group of American companies. Anderson Hay & Grain Co., Inc. is a leading second generation, family owned and operated, company specializing in hay export, specifically Timothy Hay, Alfalfa Hay and Grass Straw products. Headquartered in Ellensburg, Washington with facilities throughout the Western United States, Anderson Hay & Grain Co., Inc. works with a network of family owned farms throughout the region to produce the highest quality of hay and straw products available on the market. The Anderson family attributes much of their success to their strong grower base which has been developed throughout the life of the company. 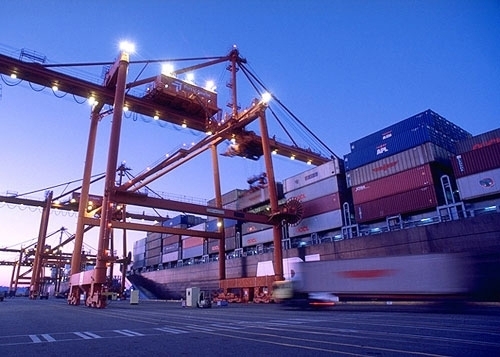 The Journal of Commerce publishes the list of the Top 100 Exporters and Importers in the United States each year. The magazine's annual double issue features rankings bases upon the import and export of containerized goods during the previous year. Widely respected as an authority on international trade and logistics, The Journal of Commerce’s list is comprised of a highly respected group of corporations specializing in a variety of products and services. Mario Moreno, economist for The Journal of Commerce, forecasts a growth in U.S. exports of 10 percent in 2011, a growth which many of these companies hope to capitalize upon. Listed as number 36 on JOC’s annual Top 100 Exporters list, Anderson Hay & Grain Co., Inc. exported a total of 36,000 twenty-foot equal unites (TEU) of hay products in 2010. Anderson’s ranking is based on the number of TEU they shipped directly to customers outside of the United States. Additionally Anderson Hay & Grain Co., Inc. sells directly to several exporters who also made the list, many of whom export Anderson products to customers worldwide. With plans for further growth Anderson Hay & Grain Co., Inc. hopes to continue to make The Journal of Commerce Top 100 Exporters List year after year. The growing company is committed to strengthening the global agricultural community through customer relations and top quality forage products. To learn more about Anderson Hay & Grain Co., Inc. visit them online at http://www.anderson-hay.com or call 509-925-9818. Founded by father and son Clarence and Ron Anderson in 1960, Anderson Hay & Grain Co., Inc. has remained a family owned operation for more than 50 years. A leading provider of hay and straw products, including Timothy Hay, Alfalfa Hay and Horse Hay; Anderson is recognized as a top producer in the hay export industry. Headquartered in Ellensburg, Washington, Anderson has a presence throughout the Western United States, maintaining several facilities and working with a network of family owned farms throughout the region. A company built on family values, Anderson Hay & Grain Co., Inc. recognizes that the foundation of their business lies within their longstanding relationships with customers, growers, suppliers and employees. Visit http://www.anderson-hay.com to learn more.